Tribute to Amtrak Part 4 2006 and 2007. 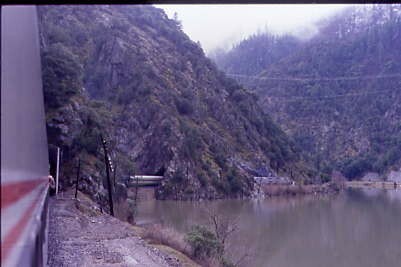 Amtrak power led the Feather River Express westbound through the Honeymoon Tunnels on 4/2/2006. 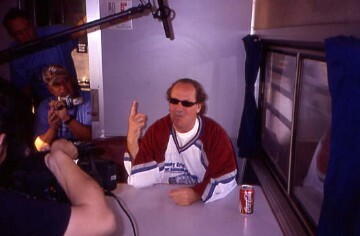 Simplified Dining was experienced by myself on 4/13/2006 on the eastbound Southwest Chief. 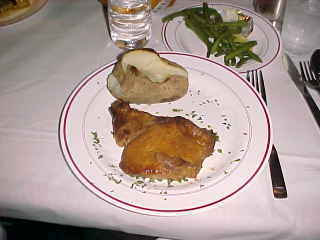 The food was very good but I found the servings to be smaller than before. 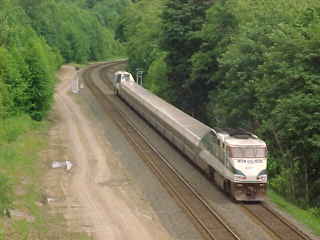 Capitol Limited Train 30 descending Sand Patch Grade at Fairhope, PA on 4/16/2006. 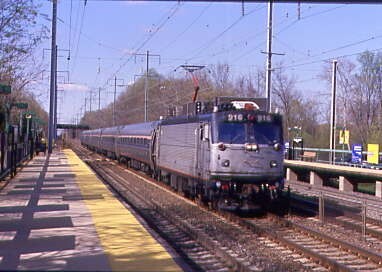 Keystone Train 642 Harrisburg to New York at Princeton Jct, NJ on 4/18/2006. 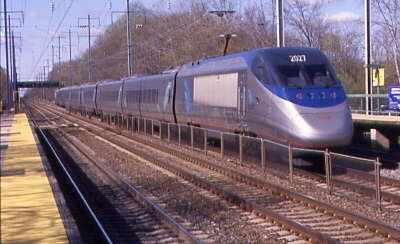 Acela Express 2151 Boston to Washington, DC on 4/18/2006. 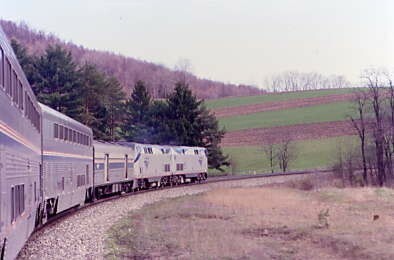 The Pennsylvanian, the New York to Pittsburgh train on 4/18/2006. 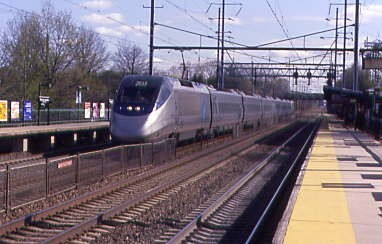 Acela Express 2153 Boston to Washington, DC passing the Pennsylvanian at track speed on 4/18/2006. 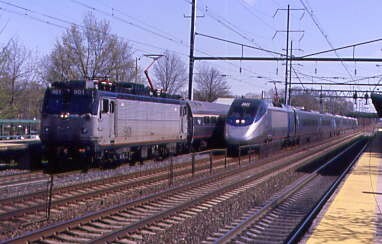 The Cardinal Train 51 at Charlottesville Station on 4/19/2006. 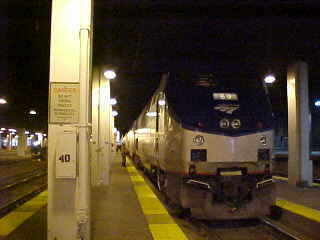 The Southwest Chief at Chicago ready to start its journey to Los Angeles on 4/20/2006. 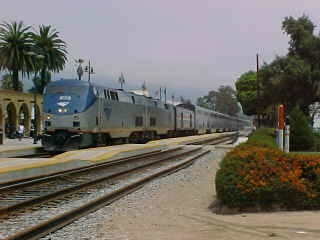 The Coast Starlight at Santa Barbara 5/20/2006. Southwest Chief Train 4 picked me up in Fullerton, Ca on a trip that I would never forget on 4/25/2007. 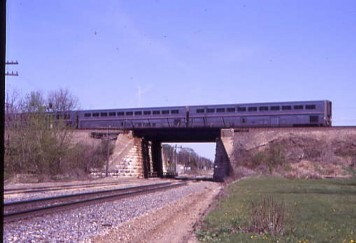 I got my Millionth Rail Mile at MP 425.5 of BNSF Marceline Subdivision on the Missouri River Bridge east of Sibley, Missouri River Bridge exact time was 8:26 AM Central Daylight Time on 4/27/2007. 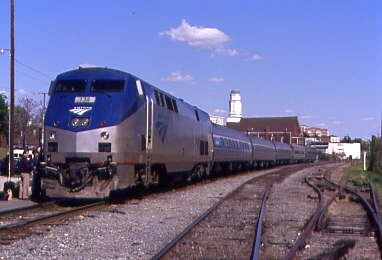 Southwest Chief arrived into La Plata for me on 4/29/2007. 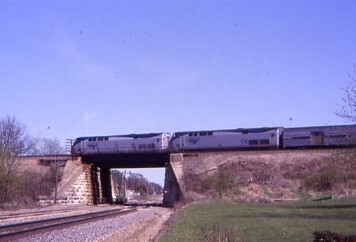 California Zephyr leaving Galesburg for Chicago on 4/29/2007. California Zephyr Train 5 pulled into Galesburg on 4/29/2007. 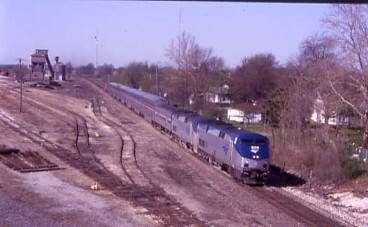 Amtrak is now using the station in the Reno Trench on 5/1/2007. California Zephyr at rest at Sacramento on 5/1/2007. San Joaquin 702 At Sacramento on 5/2/2007. Empire Builder Train 8 at Lighthouse Point, WA on 8/8/2007. Southwest Chief comes below the Chris Guenzler Million Mile Loookout Point in La Plata on 8/12/2007. The Cardinal during the crew changing stop at Huntington, West Virginia on 8/15/2007. The Crescent came into Charlottesville on 8/15/2007. The Piedmont at Salisbury, North Carolina on 8/16/2007. Our sister Train 30, the Capitol Limited arrived into Washington Union Station to end its run on 8/26/2007. 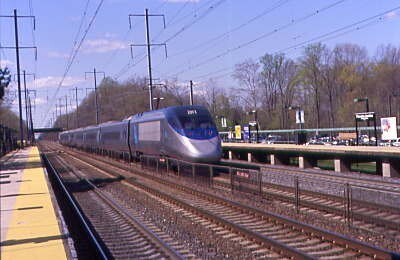 Train 91, the Silver Star arrived in Washington, DC from New York on its way to Miami on 8/26/2007. The Capitol Limited Train 29 at Washington Union Station on 8/26/2007. 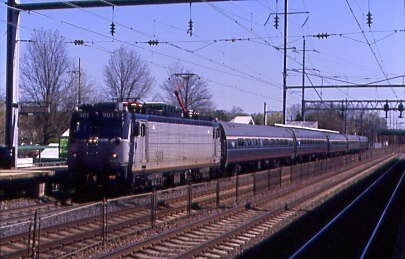 The Southwest Chief at La Plata on 12/15/2007. The Southwest Chief at Fort Madison, Iowa on 12/19/2007. Coast Starlight Train 14 at Klamath Falls on 12/27/2007. Cascade Talgo 506 ready to leave Portland Union Station for Seattle's King Street Station on 12/28/2007. City of New Orleans and Diner 37003 with All Day Cafe Menu on 12/30/2007. The City of New Orleans at Memphis on 12/31/2007.